Blu-Ray Review | "Moana with Sound"/"Tabu"
Ethnographic films had been all the rage in the 20's, as film gave audiences unprecedented access to cultures they had never been able to see before. Robert Flaherty was one of the foremost directors of ethnographic film, and is perhaps best known for directing the classic silent film, Nanook of the North. 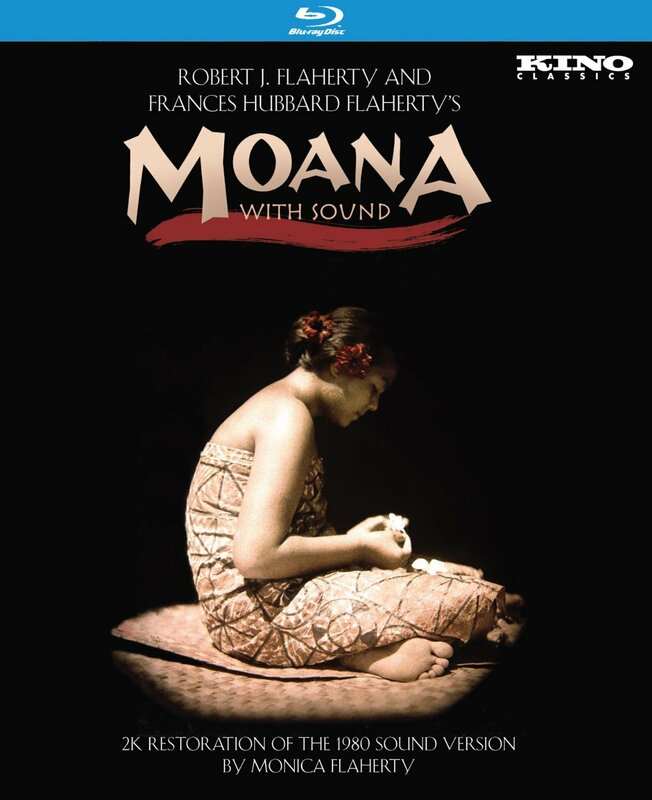 Kino Classics has released two Flaherty films, Moana with Sound (1926) and Tabu: A Story of the South Seas (1931) in stunning new Blu-Ray editions that give us a deeper look into the island world that Flaherty so fell in love with. Normally I would not be an advocate for putting sound into silent films, but a film like Moana almost demands it. Robert and Frances Flaherty's documentary about life in a Samoan village was meant as a kind of travelogue, a document of another civilization. One of the filmmakers' greatest regrets about the film is that they could not capture the people's singing, leaving a film that, to them, felt somehow incomplete. In 1975, the filmmakers' daughter, Monica Flaherty, returned to the island to record the sounds her parents could not, and breathed new life into Moana. The resulting film, known as Moana with Sound, feels like a whole new film, and a completely new experience. It feels like a more complete version of the film, a deeper immersion into the cultures that Robert and Monica Flaherty set out to depict. While the sounds don't always fit perfectly, it's remarkable how natural they often seem, providing a more accessible portrait of Savai'i, even if it is no longer 100% authentic. Still, you can't help but feel this is what the Flahertys really wanted to bring back from the island, and Moana with Sound is the most fully realized version of their vision. Several years into the sound era, Flaherty, along with F.W. Murnau and bucked the current Hollywood trend and set out to Bora Bora to make a make an ethnographic document of island life. Flaherty was known for his ethnographic films, and in teaming up with legendary German filmmaker, F.W. Murnau, they created something of a perfect marriage between their two styles. Less authentic, perhaps, than Flaherty's previous ethnographic work, but thanks to Murnau, more artistically satisfying, Tabu is a Romeo & Juliet-esque tale of star crossed native lovers. A young woman is chosen to be a virgin symbol of the tribe, but her young lover refuses to give her up. So the two run away together, bringing a death warrant upon their heads, as they navigate the tricky political waters of an island paradise being encroached upon by western civilization. 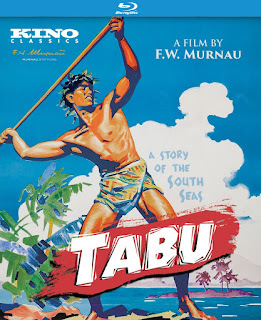 Tabu is a more political work than Flaherty's other, more observational documentaries, a fact probably more attributed to Murnau, who brings a kind of shadowy tension to the pristine beauty of Bora Bora. Murnau lends a sense of inevitable tragedy to the proceedings, placing an idealistic young couple in the middle of a clash of cultures, of tradition vs. modernity. It's a relatively minor Murnau film, lacking the director's usual visual flair (perhaps due to the almost documentary-like shoot), but Murnau's mastery of film as a visual language remains on display, along with Flaherty's clear love of its island location.